When fixed braces are removed, the teeth can quickly move back into crooked positions (relapse). The teeth need to be held in their new straight position while the gums and jaw bone "firm up". This is achieved by using fixed and/or removable retainers over a number of years. As both children and adults get older, our jaws continue to grow and our teeth become more crooked as part of the normal ageing process. This still occurs following brace treatment, so we recommend indefinite use of retainers. After about 12 months use of the retainers, the amount of wear can be reduced slowly over a period of years, but we still advise occasional use in the long term to maintain your orthodontic result in later years. You have been fitted with "Essix" removable retainers. They will fit your teeth closely and should be worn at all times, except for eating, drinking and cleaning for at least the first 3-6 months. You will be reviewed every 3 months during your retention period. Bring your retainers along to these appointments. It is important to attend these appointments and to follow your instructions at each visit. Failure to fully comply will result in the movement of your teeth. If a retainer rubs on the gum, you can adjust the edges by trimming with nail clippers or small scissors. Sharp or rough edges can be smoothed with a nail file/emery board. If you are having problems with your retainers or if you have lost or damaged them, contact your orthodontist as soon as possible. Do not wait until your next appointment. You should consider this as an emergency - if you are not wearing your retainers then your teeth will relapse. If you fail to wear your removable retainers, your teeth will no longer be straight. If you have had your orthodontic treatment carried out by the NHS, they will not pay to have your teeth straightened again. Cleaning - always remove the retainers before brushing your teeth. Clean the retainers with an old toothbrush and mild detergent/liquid soap at least twice a day. Do not use boiling water, toothpaste or bleach. To keep the retainers fresh they can be occasionally soaked in a special solution using an effervescent tablet cleaner, available to buy from the clinic. Ensure the teeth are completely clean before fitting your retainers every night. You can dip the retainers in fluoride mouthwash before bed to help protect the teeth. 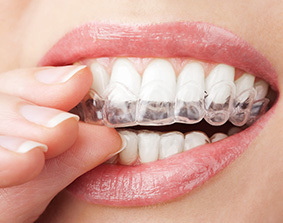 Be very careful with the retainers, they are fragile and if broken cannot be easily replaced. Keep the retainers in their rigid plastic box container when they are not in your mouth. If they are wrapped in tissue or put in your pocket they may be lost or damaged. 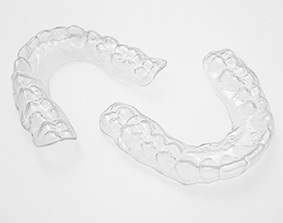 If you lose or damage your retainers you will be charged for their replacement. At first the retainers may cause more saliva in the mouth, but this will return to normal after a few hours use. As the retainers age, some holes may appear on the biting surfaces. These will not affect the retainer holding your teeth. Please keep pets (especially dogs) away from retainers, as they enjoy chewing them! If you have any problems with wearing your retainers, or if they do not seem to fit well, are lost or broken, please do not hesitate to contact us as soon as possible on 01224 611633.